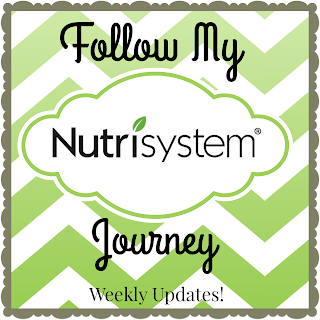 I'm officially halfway through my Nutrisystem journey and this week I'm celebrating small wins. I'll admit that I have been getting slightly discouraged at not losing as much as I had wanted the past 6 weeks, but I'm happy to have lost as much as I have so far. I know that a lot of times, the scale will lie. Yes, scales lie, believe it or not! Sometimes the scale will continue to show the same number or a larger number and you think you aren't progressing, but the truth is in the measurements. I already knew this going into my Nutrisystem journey as I've already lost 65 pounds before starting with Nutrisystem, but it's hard to remember this when you are so determined to see the number on the scale go down. And since I haven't been taking measurements (I know, shame on me!) I haven't noticed much change. That is, until this week. 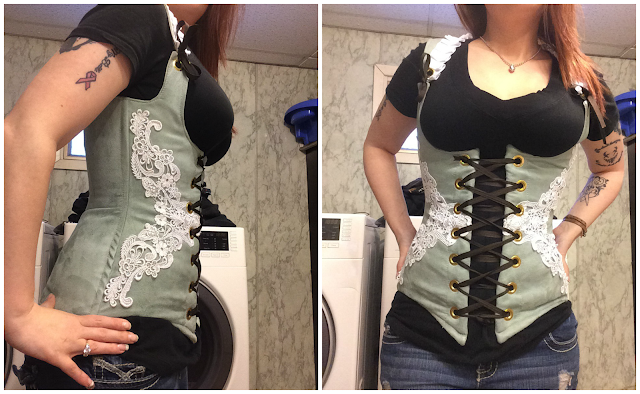 Previously, the smallest corset size I could fit myself into was a 27 inch. After I lost 10 pounds, I was drawn to a gorgeous corset on one of the swap groups I am in. The only problem is that it was a 25 inch. I don't know what made me decide to buy it, but I did. I received it in the mail Saturday and thought, this is it, this could either made me really depressed or it could be the most exciting thing ever. I was definitely not depressed, that's for sure! I was actually able to get it on and get it tied! 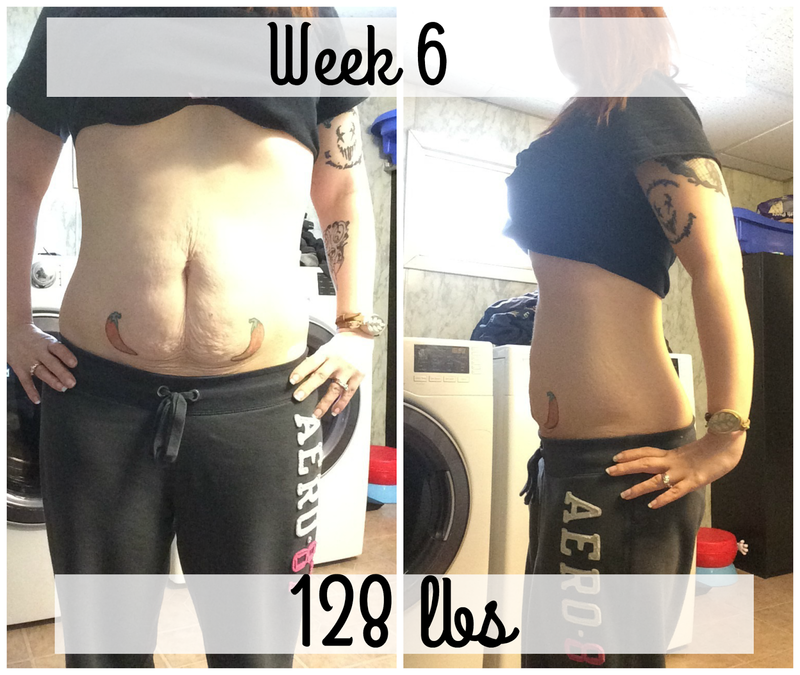 I was so excited and it showed me that even though I hadn't saw too much difference on the scale, that there had definitely been a difference in my waist measurements. I call this a weight loss win and while it's a small win, it's still a win none-the-less! So what did I weigh in at this week? A two pound loss after two weeks of suffering through a frustrating plateau! I was really starting to think I just would never see anything below 130 ever again (I weighed a very tiny and slightly unhealthy 98lbs before having my daughter in 2006). I still have what I like to call a "joey pouch" and it would be great to have my belly button not look like a black hole, but you are going to have that after having two kids and a bit of weight loss. Unfortunately, I have yet to find a workout that will take care of that, but I did order some Palmer's Skin Firming Lotion with shea butter. So we will see if daily and nightly use of it firms and tightens the skin back up.